The built-in three wiping options give you more flexible choice.Erase All Data: This function can ensure the security of your data by destroying everything on your Android device safely and permanently.Erase Private Data: The program will scan all the existing private data and list them, them erase them selectively. 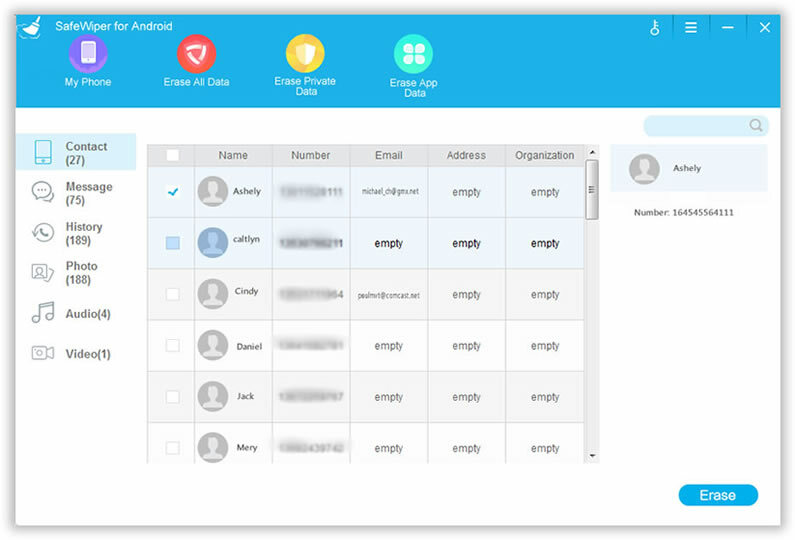 like text messages, contacts, call history, photos, videos, music and more.Erase App Data: Safewiper for Android will deeply scan all the private information that generated by your Social and Messengers app. Including the login cookies, download files, catch, chat history and photos.